A coerced confession is one that is not given voluntarily. This can be a result of physical intimidation, threats, or unlawful promises of better treatment. Yes, technically the police can lie to you during interrogation. What they cannot do is threaten or promise leniency, no matter how slight. Often a false confession is the product of the police lying and giving the suspect the impression that it would be better for them if they confessed (to something they didn’t do) than to insist on innocence. What kind of proof is required for coerced confessions? If challenged via a pre-trial motion, it is up to the judge to decide whether or not the confession was coerced. In the best case scenario, your interrogation was recorded. Many times, however, that is not the case, and then it becomes your word vs the police officer’s word, which can be tricky and difficult on defendants. Nevertheless, if the confession is allowed to be presented to the jury, the defense can still argue to the jury that it was coerced. What should you do if you believe you are being coerced? If you are being interrogated and believe you are being coerced, say you want a lawyer. This should stop questioning immediately. If they continue questioning you, repeat your request for a lawyer and say nothing else. What should you do if you believe your confession was coerced? Tell your lawyer if you believe your confession was coerced. Hopefully there is a video. Confessions are extremely powerful, although a conviction cannot stand based on confession alone. But if there is some other supportive evidence of your guilt, then that combined with your confession can be difficult to combat. It can be an uphill battle to convince jurors that you would admit to something you did not do. The best thing you can do is ask to remain silent and request a lawyer. If you have been coerced into confessing to something you didn’t do, contact a criminal defense lawyer to discuss your case. To learn more about your rights after arrest, visit my page Know Your Rights. 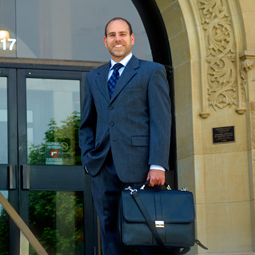 To discuss a coerced confession or criminal defense in general, request a free initial consultation with Adam.